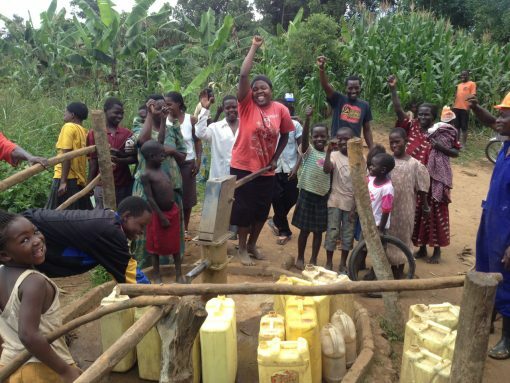 The newest addition to our water solutions toolkit is the borehole rehabilitation. A borehole is just a simple hand pump well that typically ranges anywhere from 30 to 250 ft deep. This mechanical pumping systems is the most common method of water delivery in all of Africa, serving as the primary drinking sources for millions of people. Unfortunately, with so many moving parts, these wells endure a lot of stress, especially in areas where they are pumped around the clock. While the need for regular maintenance is clear, it is often neglected, resulting in over 30% of wells in Sub-Saharan Africa being broken at any one point in time. By working with the community leadership to develop a strong buy-in to the maintenance and ownership process, we can then bring in our well repair crew and see the community thrive for years to come as they care for their water source through the collection of community dues to fund regular maintenance. This two part process serves to fix not just the broken water source, but the problem that led to it breaking in the first place. Bring clean water to a community by partnering with us to rehabilitate a broken well that will serve hundreds of people for years to come!